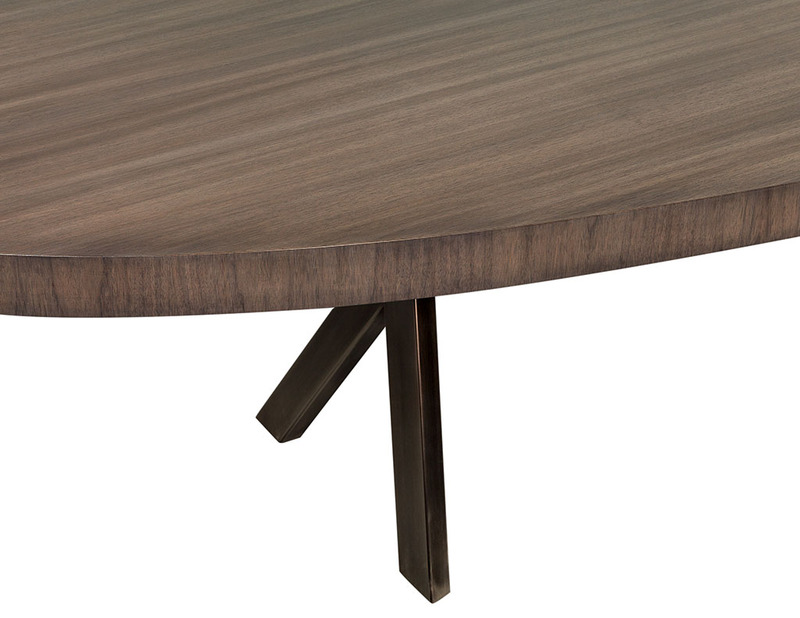 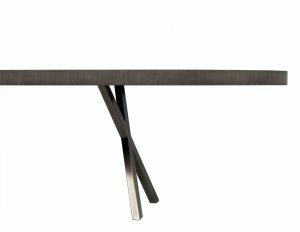 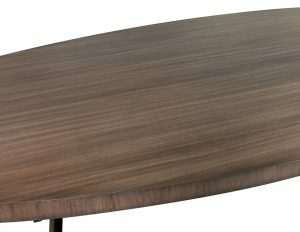 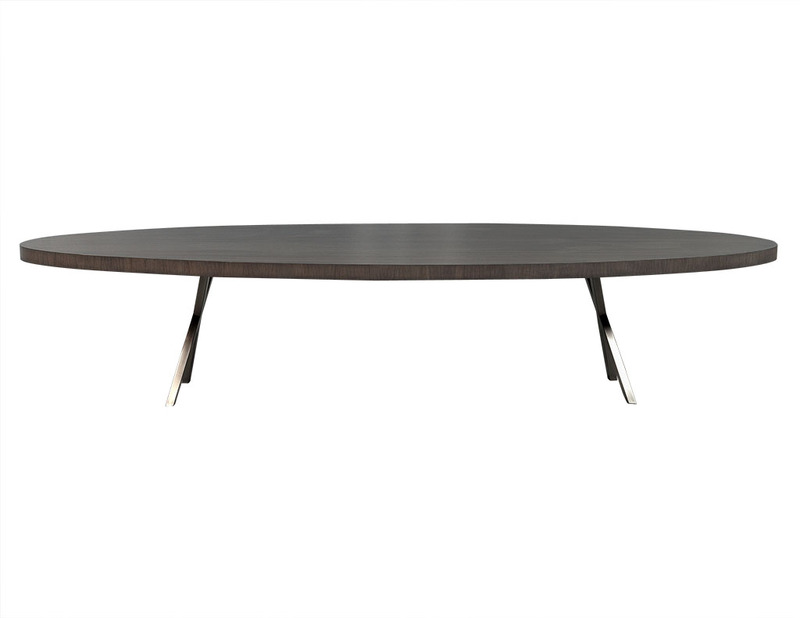 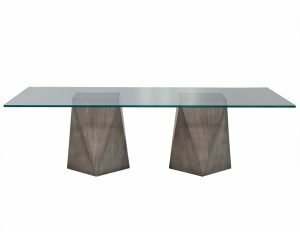 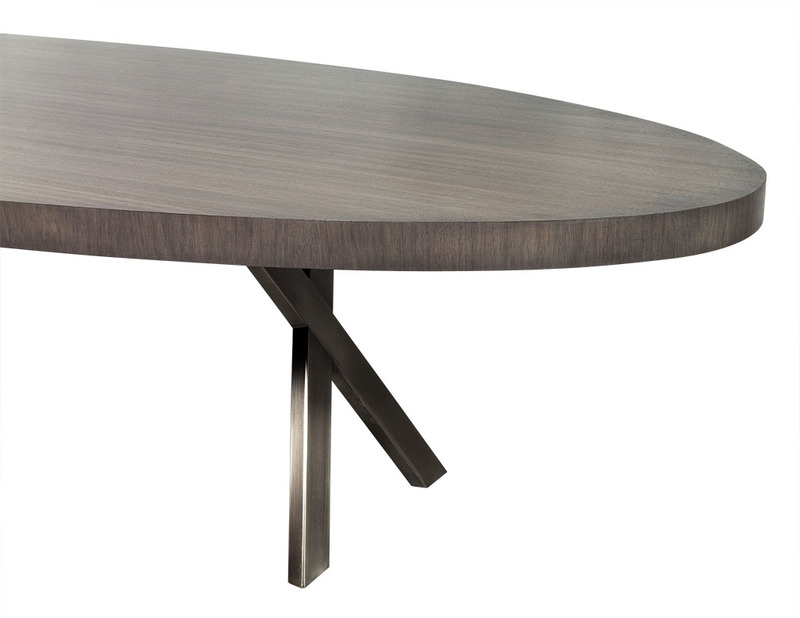 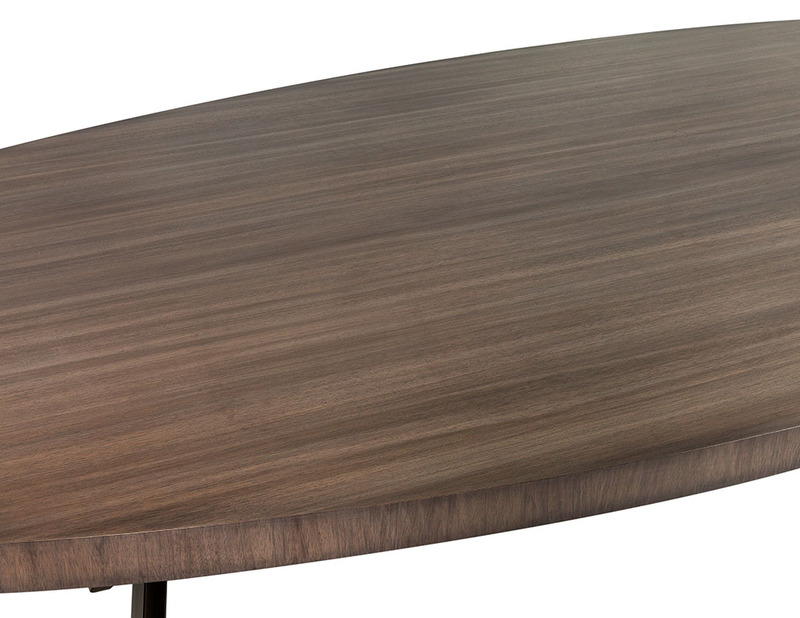 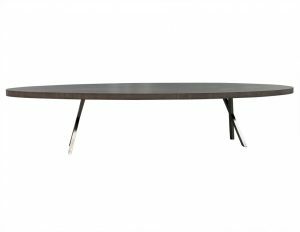 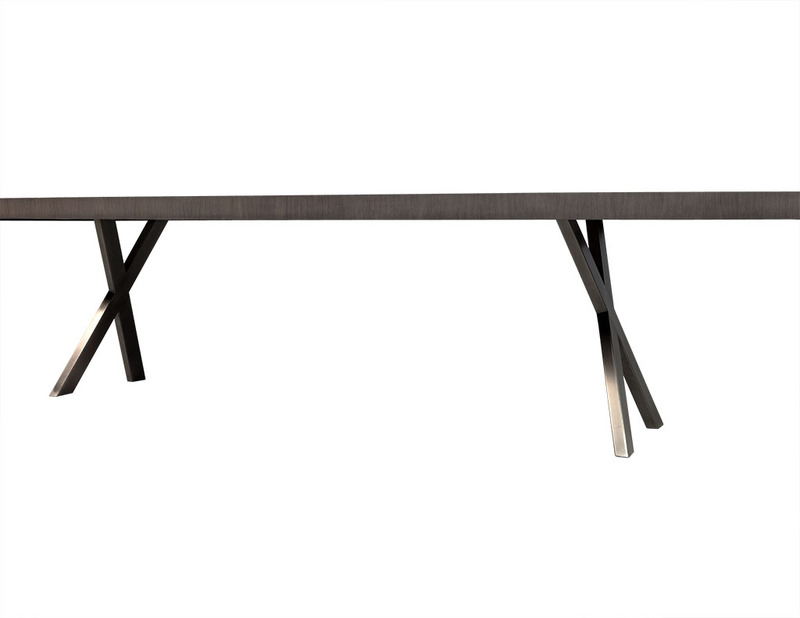 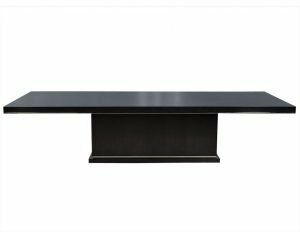 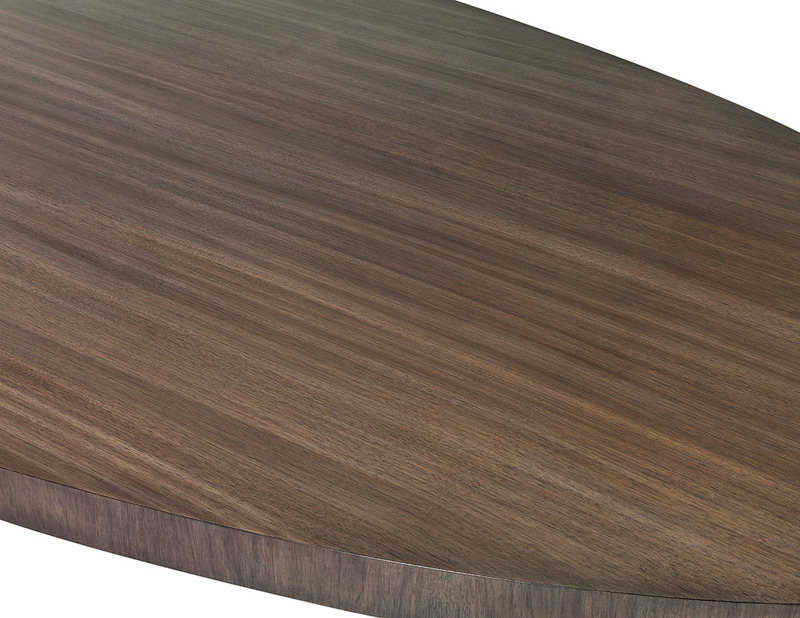 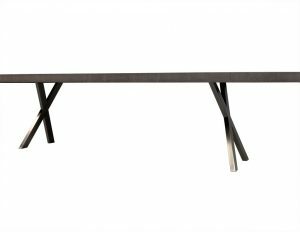 This sleek dining table is part of the Carrocel Custom collection. 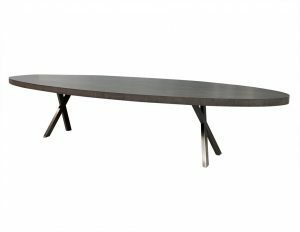 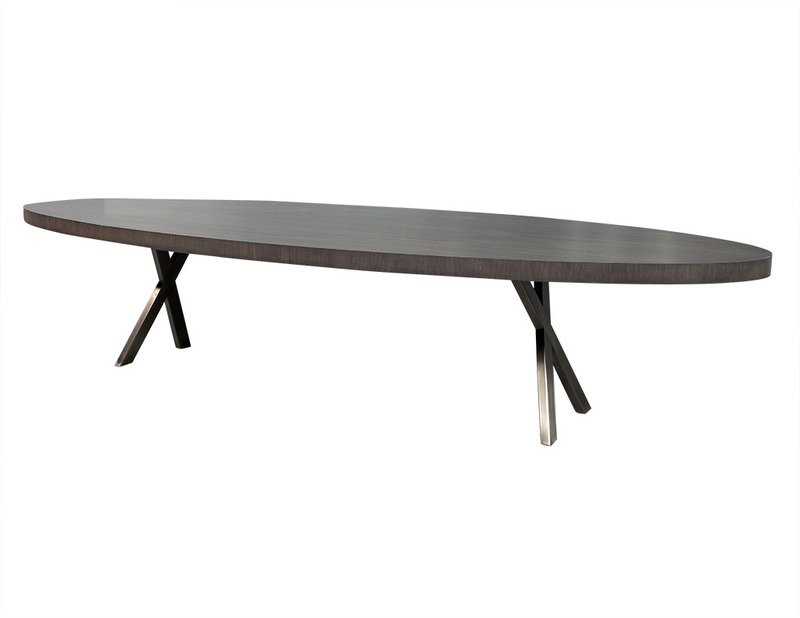 It has a rift walnut top positioned on a pair of handmade stainless-steel bases, with a hand-rubbed natural grey finish on the legs and tabletop. An interesting piece perfect for an edgy dining room.